Everyone has heard of Andy Warhol. What does that even mean? Is his fame, in this regard, important? He is one of the most visible and best-known artists in the world today, but against a backdrop of scripted reality shows and the new narcissism (selfies), the implications of his extended 15 minutes of fame are hard to appreciate. 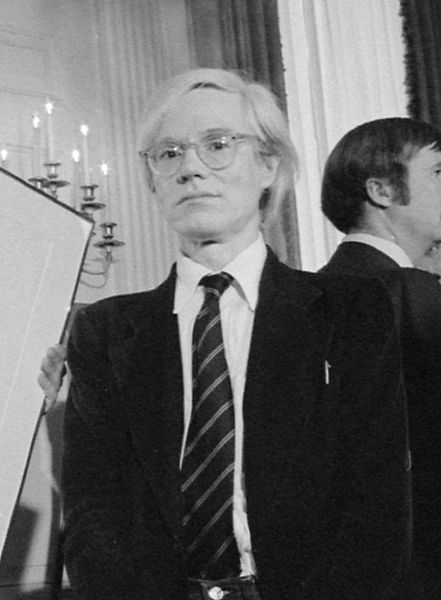 For the late art critic Robert Hughes, Warhol was for many “a name handed down from a distant museum-culture, stuck to a memorable face: a cashiered Latin teacher in a pale fibre wig, the guy who paints soup cans and knows all the movie stars”. It is a matter of fact description, one which Hughes wrote in 1982 for the New York Review of Books. He was particularly scathing of what Warhol represented. While Salvador Dali made no illusion of his love of money and fame, he at least had been, early on, a master of something new and groundbreaking. The opinions of others run contrary to Hughes scathing assertions. Writing in the Huffington Post last year, the author Jeanette Winterson, while acknowledging Warhol’s preoccupation with celebrity, sees him as a chronicler of one of the most important societal developments of our times, and two, much more than a style. She discusses, by way of example, his photographs and screen prints of superstars like Marilyn Monroe, Mick Jagger and Elvis, are sublime in their capacity to offer the viewer a lot while also holding back an immense lot. This keeps you engaged, and thus, the more you look, the more mysterious it becomes. Which is why he is a very bankable star and if ever there was an artist who bridges the world of fine art (critical success) with high finance (commercial success), Warhol is certainly that individual. This was evident in November when he achieved a new record for his 1963 Silver Car Crash (Double Disaster) work of art, which went for $105 million (£65 million).The previous best for one of his paintings was set in 2007, when Green Car Crash (Green Burning Car I) was picked up for $71.7 million (£44.1 million). Not a bad mark up to say the least. Whatever you may think of Warhol, he is certainly an artist who is not going to go away, and he remains influential on all areas of contemporary art, as well as on media, marketing and visual imagery. Whether directly or indirectly, his legacy on the art world is set in stone forever more: his is 15 minutes of eternal fame. Cadogan Tate can ship works of art from London to your chosen destination anywhere in the world. NextWinter Working: Find the best office!